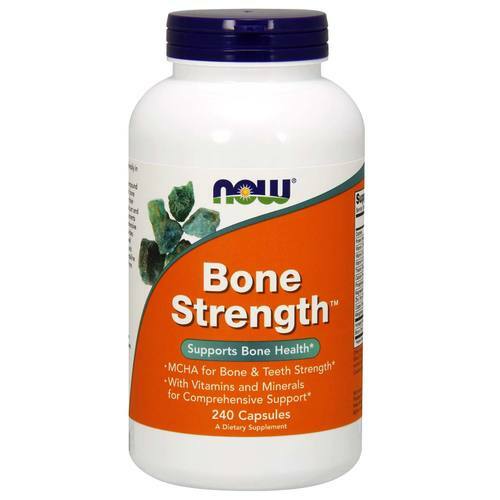 The vitamins and minerals in Now Foods Bone Strength work together for a well-balanced formula. Notes: Contains shellfish (crab, shrimp, lobster, crayfish). Not manufactured with wheat, gluten, soy, milk, egg, fish or tree nut ingredients. Produced in a GMP facility that processes other ingredients containing these allergens. Recommended Use: As a dietary supplement, take 4 capsules daily, in 1 to 2 divided doses, preferably with food.